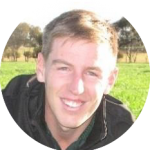 The Australian Association of Agricultural Consultants (WA) Inc. (AAAC(WA) is a professional association providing training, professional development, mentoring and resources to agricultural and agribusiness consultants across Western Australia. The AAAC(WA) has been running in Western Australian for many years and continues to be one of Australia’s pre-eminent and respected agricultural associations. AAAC(WA) has over 60 Members who work in agriculture and agribusiness across Australia and provide professional services to these industries.